Hi friends and #slayathomebabes! 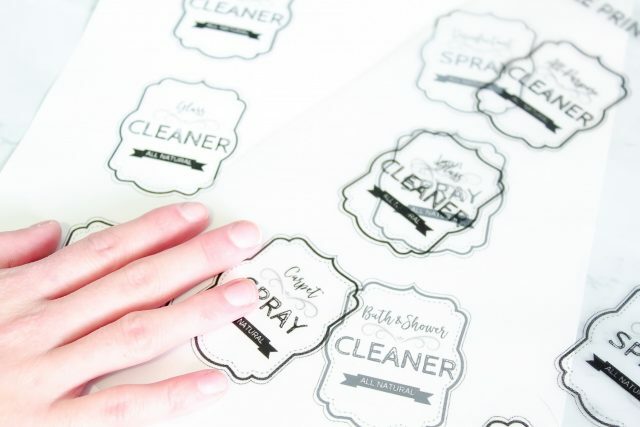 I’m bringing ‘EASY’ back with some free printable labels and sticker paper ;). 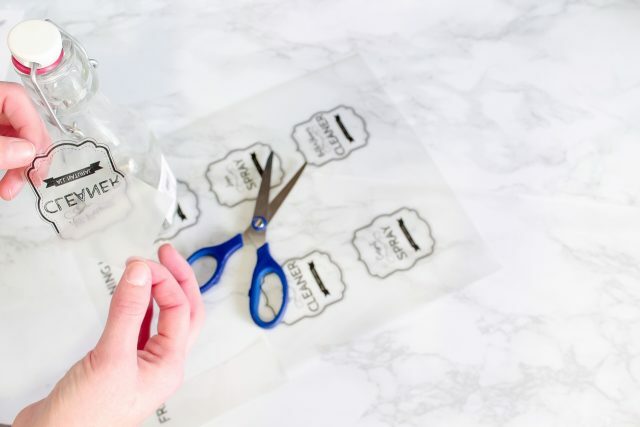 Okay, I’m done being corny – but seriously, if you’ve been wanting to create gorgeous labels but can’t afford to buy a vinyl cutter like the Cricut, Silhouette, or Brother ScanNCut – I’ve got you covered! 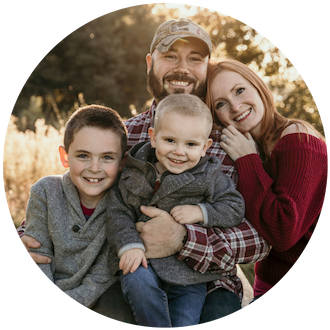 *This post contains affiliate links for your convenience, however, all opinions are my own, as always! I know I must be strange for that – but having kids and dealing with the mess they create can make a girl crave some structure and cleanliness, am I right? BTW – I looooove my kids. I think they are the most beautiful creatures on God’s green Earth. And I encourage them to make messes, create, and get inspired by their surroundings. And that’s why I’ll settle for labeling everything while I can’t have a perfectly clean living room all the time ;). It makes me feel more organized and put together. Plus, they’re so pretty! I just wanted to share this method since it is SO cost effective and easy to do! 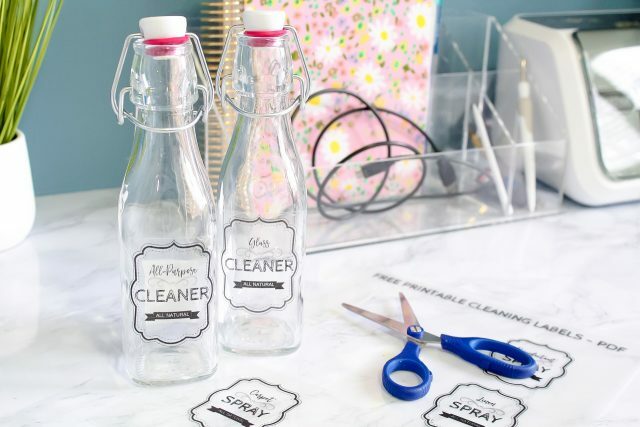 You can start labeling your cleaning solutions or organizing your pantry with some free printable labels! 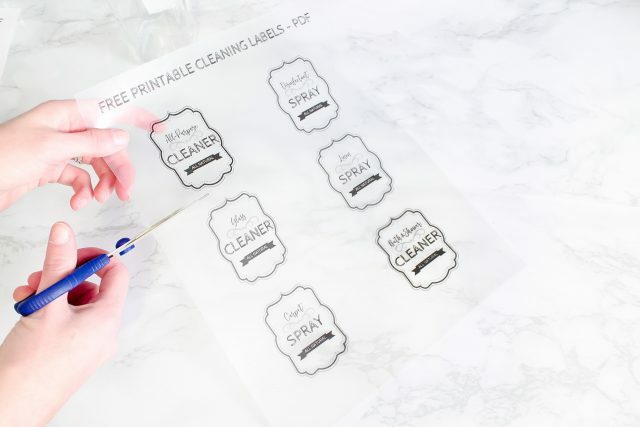 In this post, I’m going to show you how to make your own cleaning labels (or whatever kind of labels you need), and easily print them out to use! 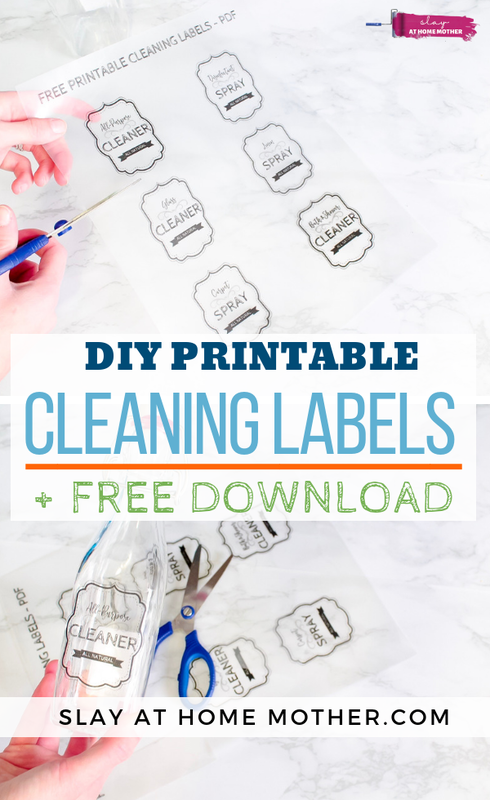 And within this post, I have these cleaning label templates that you can download and use for yourself! Test Print On White Printer Paper First! The two bottles I used were 8.5 square hermetic bottles from The Container Store. The front surface of these bottles measures about 2 inches wide by 5 inches tall (before the neck of the bottle starts to narrow). I used these bottles in my fridge organization post as well, for condiments and sauces! They have a great seal on them, and they’re very affordable (about 3.99 normally). For the sticker paper, I went with Cricut brand because it was available in the store when I went to buy some (I honestly couldn’t find any other brands!). You do not have to own a Cricut or any other machine besides an inkjet printer to use this paper! 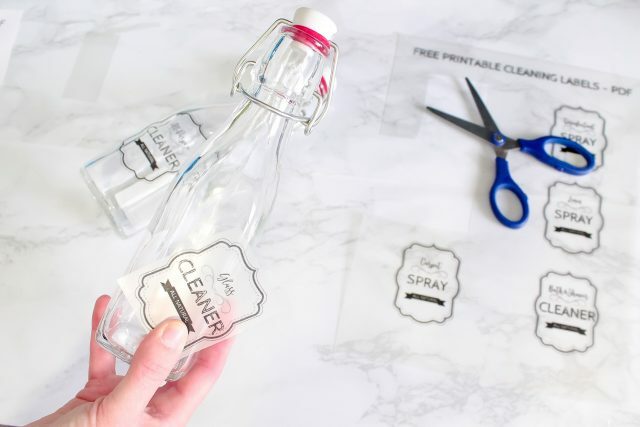 For the design, you can create cleaning labels in a free program like Canva, or use Word and print letters. If you’re using Word, think about downloading some clipart from Google (or even Etsy!) to use in your design. Experiment with colors, borders, and fonts. CLICK HERE if you aren’t keen on designing them yourself and want to download the ones I’ve created in this post. I have both a larger, colorful set you can use or the one pictured below (ideal for skinnier bottles or non-color printers). On the left is my white printer paper test run, and on the right is my clear sticker paper labels printed out correctly. I can’t stress this enough – but even if you think you know your printer top to bottom, please do a test run before you waste a sheet of sticker paper. 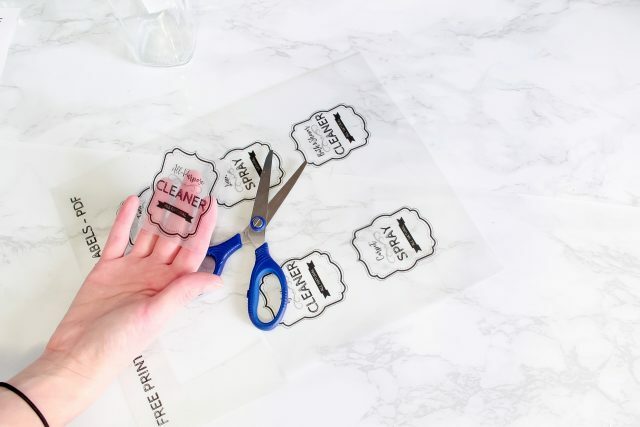 Packs of sticker paper aren’t very expensive at all (I got a pack of 5 sheets for $5.99 on sale at Joann), but once you see how easy this process is, you’ll want to use every inch of sticker sheet that you can to label everything! For your test run, you’ll want to take a piece of white printer paper and place it into your paper tray in your printer. Before closing the tray, mark an ‘X’ on the paper, and close the tray. Print something (it can be a few letters in a Word document), and examine the piece of paper. If your printing test run printed on the same side as your handwritten ‘X’, then you know you’ll need to put the sticker paper in with the glossy side facing UP. 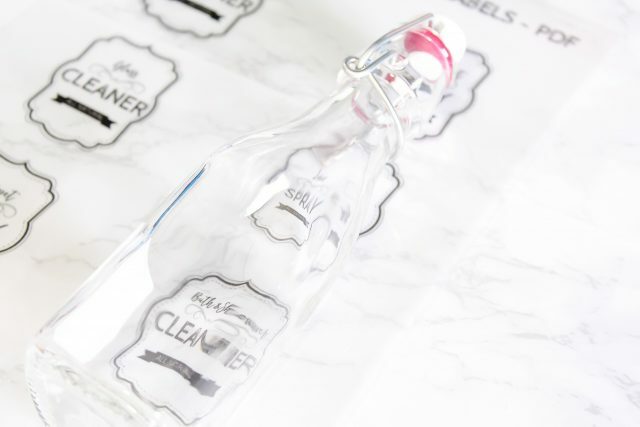 If your test run print printed on the opposite side of your handwritten ‘X’, you’ll need to insert the sticker paper with the glossy side facing DOWN. 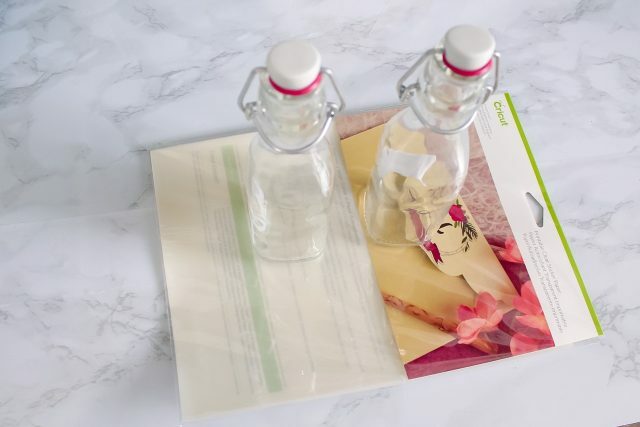 Now that you’ve successfully printed out your labels, it’s time to cut them out and apply them! This sticker paper is super easy to cut. I used child-sized scissors that were laying around (since I have two kids), and found that it wasn’t difficult at all to cut through! When cutting, try to cut as close to the design as you can. If you’re feeling confident, you can even trace the design with your scissors to cut along the outline. I chose to cut a simple rectangle for each sticker. 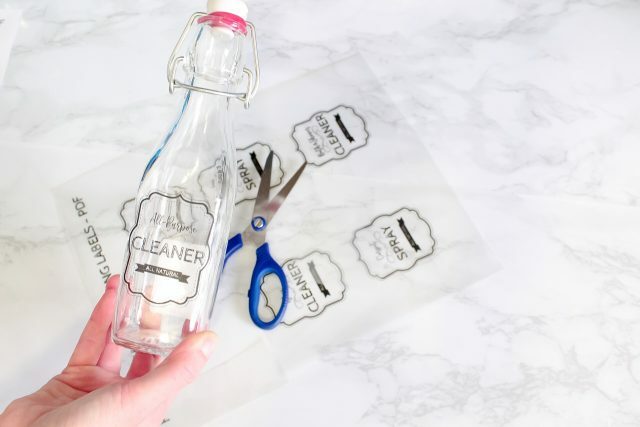 With the sticker backing still on, try the sticker against your bottle to see how it will look. Move it around to see exactly where you will want to place it (do you like the way it looks when it’s close to the bottom of the bottle, in the middle, or across the bottle’s neck?). 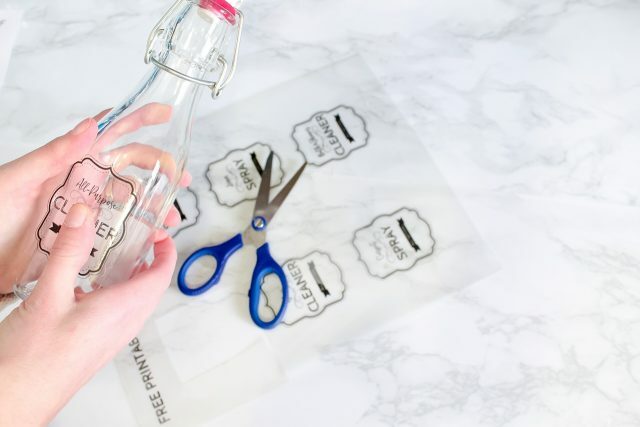 Once you’ve picked your sticker placement, rub the bottle down with an alcohol pad to clean it, and peel the backing from your sticker label, and apply to your bottle. Press firmly to make sure the sticker sticks real good. As I’m writing this post, I’m realizing that the photo above looks like the label is already against the glass as I’m pulling away the backing. Don’t let the background fool you! The sticker label isn’t on the bottle until the next photo below. I smoothed the clear sticker paper label on with my fingers, paying close attention to the edges (which is where your label will lift if it isn’t secured). Be sure to start in the center and smoothe the sticker out towards the sides and edges. You shouldn’t get any air bubbles at all, but this will make CERTAIN that you won’t ;). 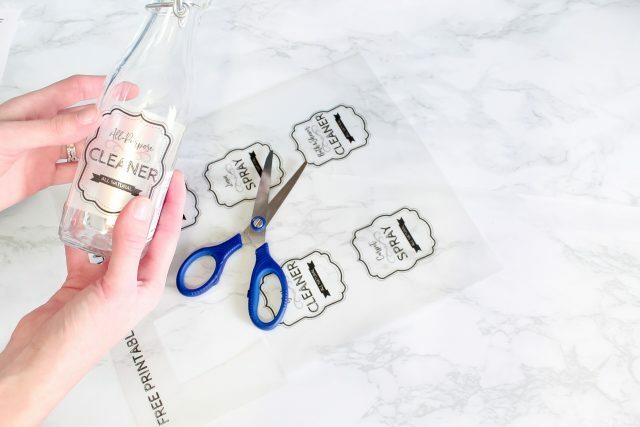 Follow the same steps to apply the rest of your desired stickers, paying careful attention to smoothing the sticker down everywhere so it stays in place. 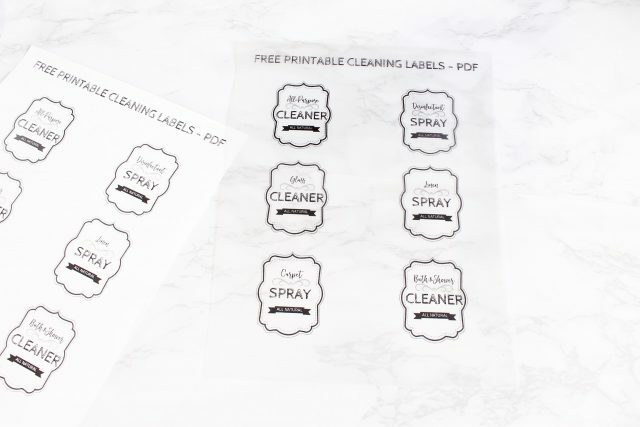 And there you have it – easy DIY cleaning label stickers that you can print and apply in five minutes or less! 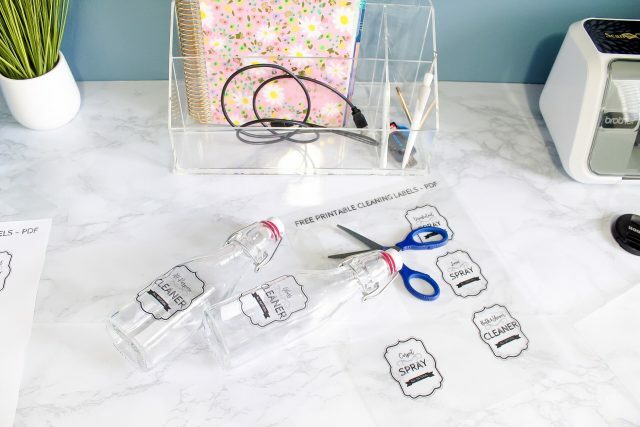 I hope this quick tutorial gives you the confidence to label anything you want with sticker paper (without having to buy those expensive vinyl cutting machines)! 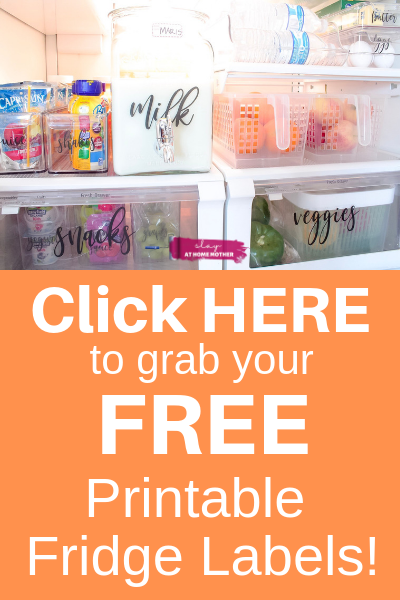 You can use these free printable labels for your pantry, bathroom, spice cabinet, fridge, kid’s room, craft room, office, or even your phone case! The possibilities are endless, as long as you have a clean, smooth surface to work with! What other types of DIY tutorials would you guys like to see? Let me know in the comments below!